The Duchess of Sussex, Meghan Markle, has already changed bridal trends for years to come thanks her pared back Givenchy gown and iconic Stella McCartney halter dress; now she’s just confirmed the biggest dress trend of summer 2018. 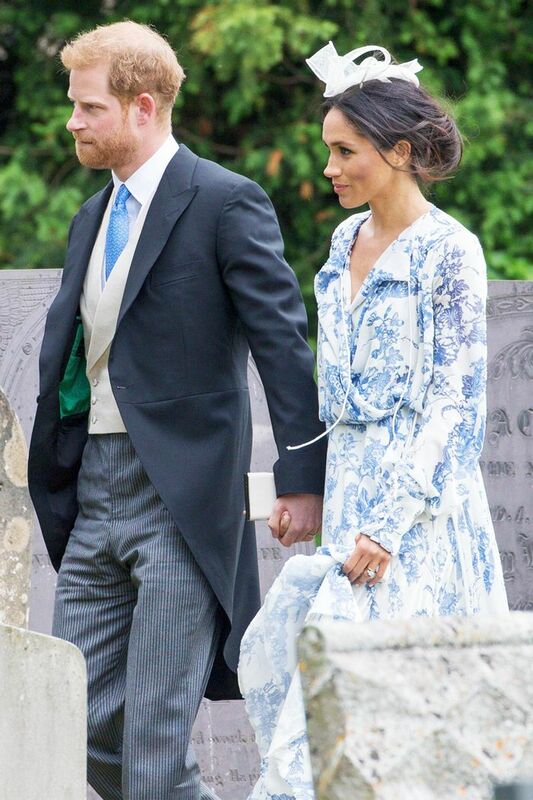 Joining Prince Harry at the wedding of his cousin, Princess Diana’s niece, Celia McCorquodale, Meghan wore a floor-length Oscar de la Renta dress in a pale blue-and-white floral print. But while we’re just as enamored with the print as everyone else—prepare to shop our pick of the best blue and white florals below—we’re also loving the wrap-dress shape. Super flattering on all body shapes, wrap dresses have never really disappeared. But thanks to the fashion set’s new love of kimonos and wraps, the classic shape is now officially back on the fashion menu. If you needed any extra proof, let Meghan’s wedding-guest outfit be it. A step-change from the fitted Carolina Herrera Bardot dress we saw on Meghan at her first Trooping of the Colour ceremony, this weekend’s wedding saw the new Duchess of Sussex opt for a floatier maxi in a print we’re certain we’ll see at several weddings and garden parties this summer. That's not the only detail we'll likely be stealing from Meghan, however, since her pretty white fascinator is from none other than M&S, ringing in at a purse-friendly £30. Move fast, though—stocks likely won’t last long once the Meghan Effect takes hold. If you’re as keen on the look as we are, keep scrolling to shop our pick of the best blue and white floral dresses you can buy right now. The Duchess of Sussex has done it again.